5/26-6/16 $5 weekends, 6/17-9/7 $15 daily fee, 9/8-9/23 $5 weekends. This lovely bay beach is popular with families due to its warm water and calm surf. 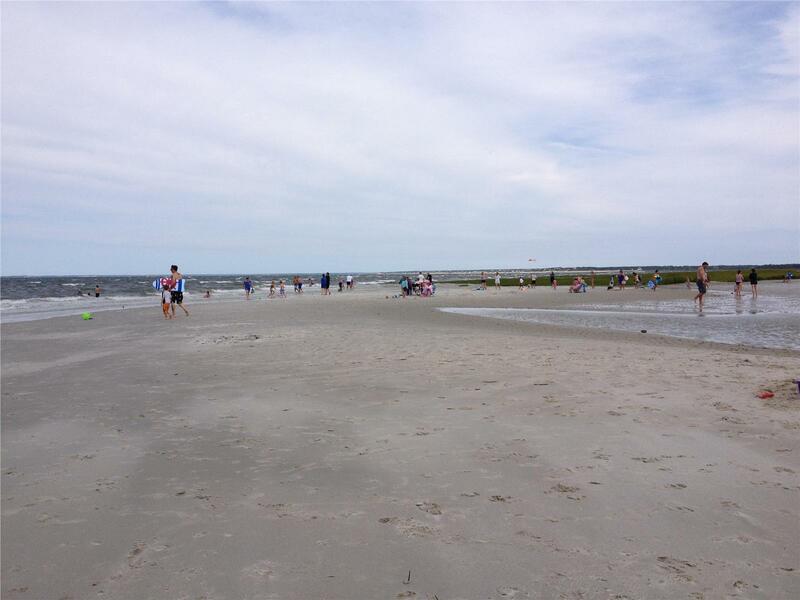 As with many bay beaches, you can explore for for miles at low tide. This beach is handicap accessible. Low tide you can walk out over a mile. Great inlet for exploring. Snack stand and public bathrooms. We prefer sitting to the right of the protected beach because it’s less crowded. Parking often an issue so we rent where we can walk down, or park by the Capt Linnel House. If you have young children, then Skatet is the place to go in the Orleans area. It's on the bay side, so the waves are pretty small. When the tide goes out, you can walk for what seems like miles in waist deep water. It is a small area and the parking fills up fast. We were lucky enough to be the last car in at about 10:30 on a Friday. It's a good alternative to Nauset if you don't want to have to deal with the strong waves and shark interruptions. Close and easy parking until at least 9:45 a.m. Full services and great tides that allow safe swimming for the little ones along with deeper swimming further out for the older kids. We feel this beach offers the best of everything. I love visiting this beach at low tide because you can walk for ages! And by staying so close, you can walk and not risk being turned away when the lot is full! This beach is about a 25 minute drive from South Yarmouth but the drive is easy and worth it to be on the bayside. This beach is GREAT for little kids. It has a clean bathroom, snack bar and lots and lots of families so there are always new friends to meet and spend the day with. At low tide, you can walk for miles. Very beautiful and quiet in ‘off’ season. 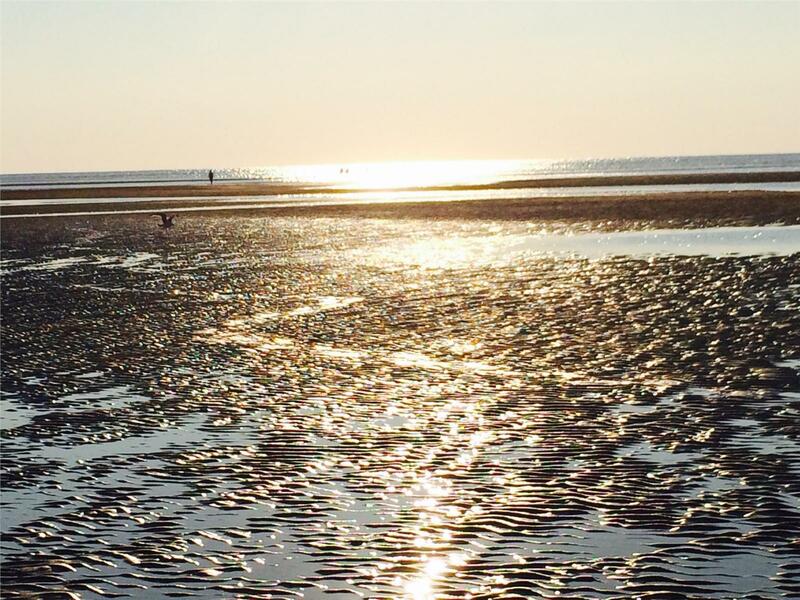 Walk for miles at low tide on this amazing beach...it's like no other. 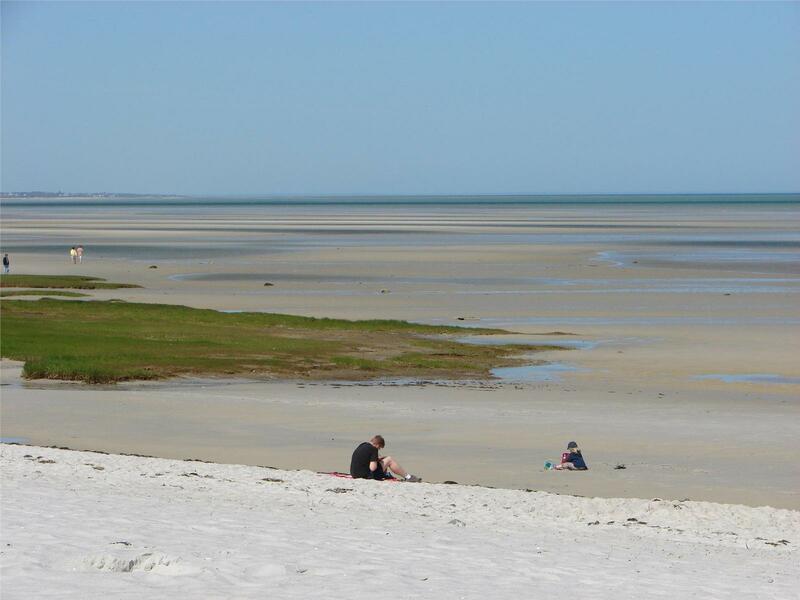 Warm, shallow bay waters, ideal for kids' wading and swimming; tidal pools with shells and critters and shore birds; stunning sunsets; walking excursions far to the horizon at low tide. Perfectly beautiful! Just be sure you study the tide charts; both high and low tides have their special qualities. The tidal pools, the special glacial erratic --Skaket's seamark, the creek, the soft white sands and the gorgeous green sea grass all combine to make this place uniquely lovely. Skaket also has also a snackbar, an outdoor shower, restrooms and a place to change, as well as lifeguards on duty. In high season, the parking lot reaches capacity very easily. No fee after 4:30 or 5:00 PM. 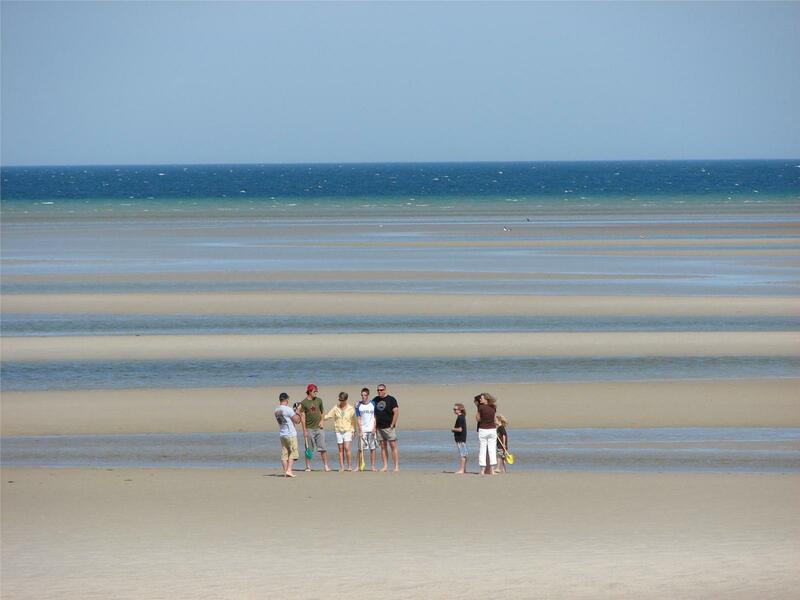 Shallow waters and sandbars make Skaket a great place for families. The sunsets are spectacular! Love walking out at low tide at sunset! You could walk out for forever! Perfect beach for kids of all ages! We went every day and back at night for sunset - Skaket is our families favorite! 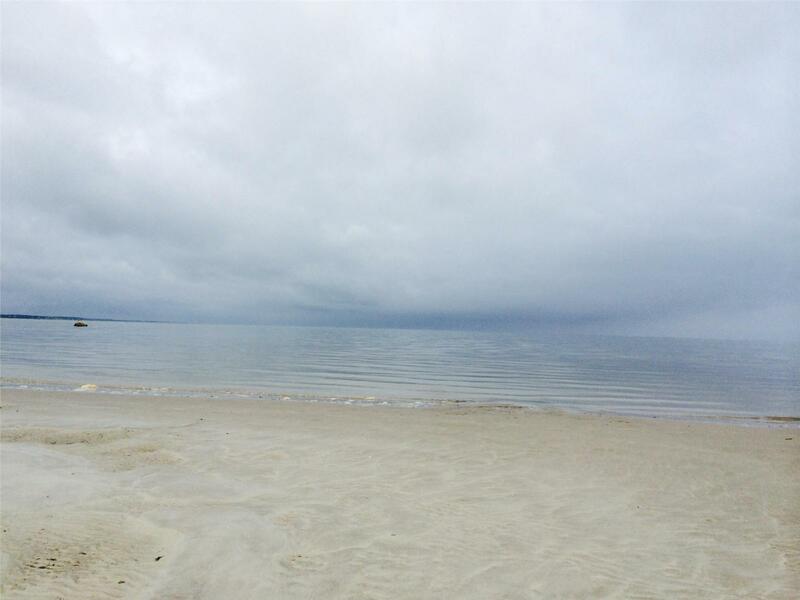 We loved being able to walk to the beach from the cottage [Orleans Vacation Rental ID 21048]. Also, we loved being able to walk out into the sound when the tide was out. Water is warm, no waves. Great for young children. perfect for little kids. Bay beach without waves. Long shallow spit of sand at low tide. Watch out for how fast the tide comes in. You can lose clothes left on high spots sandy spots. We did! 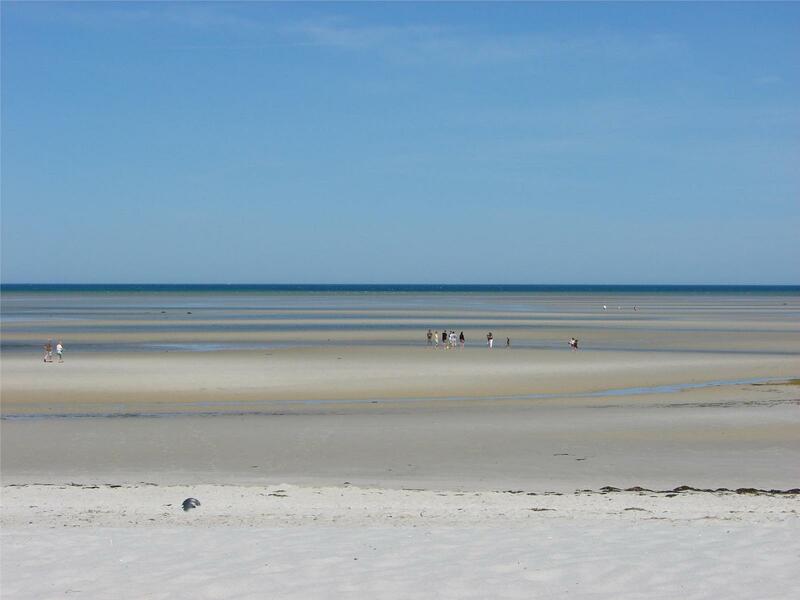 The part of the beach closest to the rental [Orleans Vacation Rental ID 6756] is very peaceful and quiet, affording long walks during low tide, lovely swimming during high tide. A couple hundred feet in on direction, and you'll find beach visitors and concessions. Renting this house does save the cost for a beach parking spot for Skaket Beach. The beach was clean and beautiful. Incredible sunsets! We watched the sun set over Skaket Beach, and it was truly magnificent. Beautiful, wide bay beach that has spectacular sunsets and you can walk out a mile or more at low tide. Convenient as it has a snack bar and real bathrooms. Great for families. Fills up early in the summer. Intimate neighborhood beach just 5 minutes away Orleans Vacation Rental ID 25897 and a short walk from the parking lot to the beach. Great refreshment bar with amazing burgers! Tidal flats great for small children and exploring. At low tide, walk out to see the oyster farm...fascinating. Free parking after 430 and beautiful sunsets, great frisbee territory. The bay side... Meaning warmer water, smaller waves. When the tide goes out, you can walk forever! 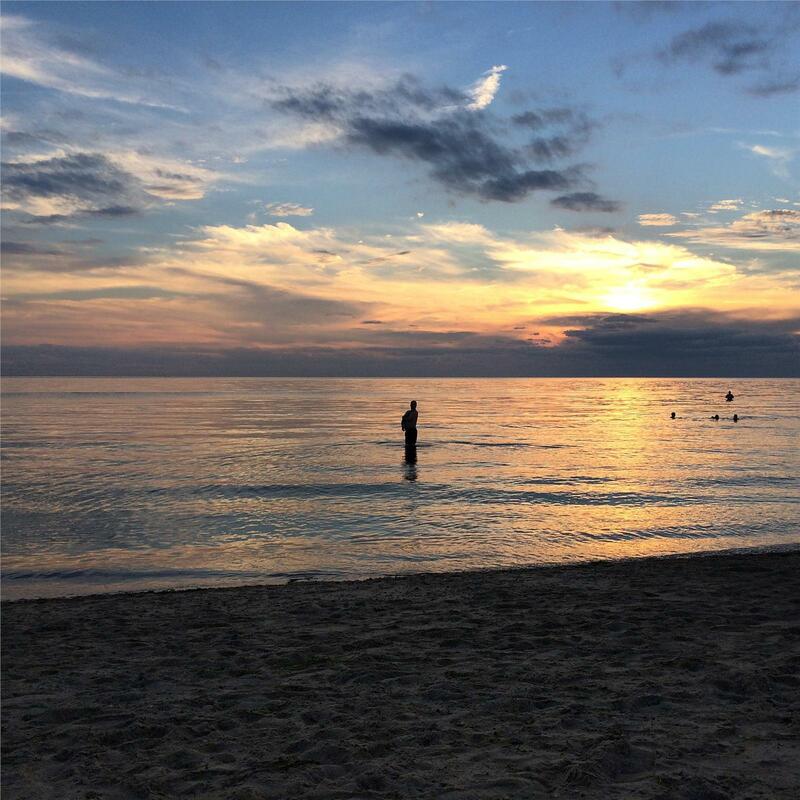 Best sunsets on Cape Cod, guaranteed! Great for kids at low tide. Great access, lots of space! Just be mindful of the tide! it goes way out, and comes in quickly, which is awesome to experience. 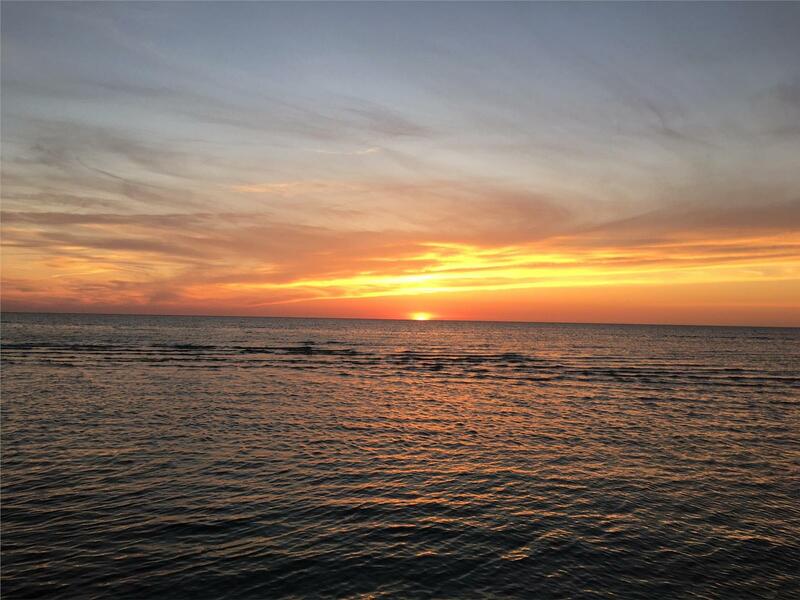 Try going after an early dinner (No charge to park after 5), arriving before sunset and watching the sun set into Cape Cod Bay !!! This is a favorite of our grandchildren. The water is warmer and gentler. You can walk out very far when low tide or take a long walk along the shore. They found lots of hermit crabs and minnows. 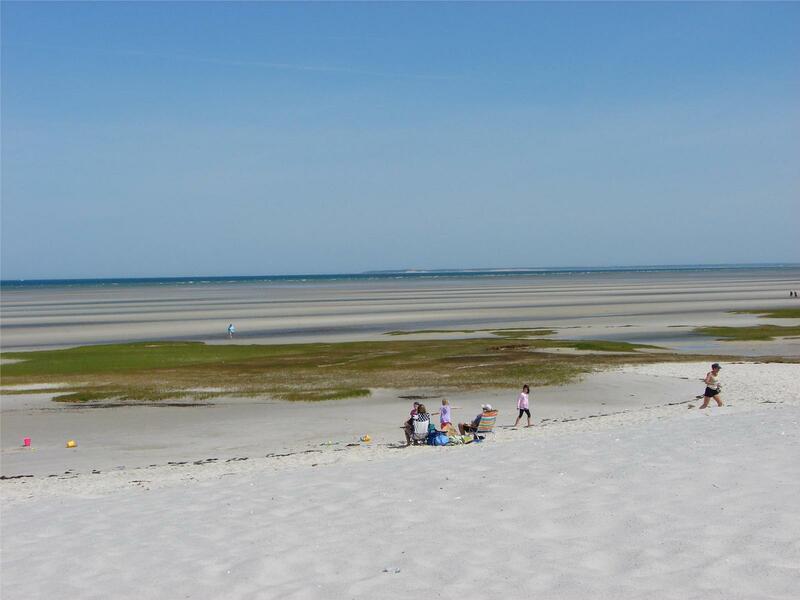 We love Skaket Beach and find it to be one of the most beautiful around, with the green sea grass and nice sand. It is really perfect for kids. The little river that one can float on is a lot of fun, too. The snack shack has good food at reasonable prices. We found that the parking lot fills up by 10am, sometimes earlier. It is like a bit of heaven to walk out on the flats for a mile or so when the tide is out, the sun is shining and a warm, gentle breeze surrounds you. We love it! And returned over and over. Close by to Orleans Vacation Rental ID 23532 and pretty in the evening. Great to walk in the shallow waters. But we don't go often because we have the lake at our door. The tidal flats are amazing. Always our favorite beach! 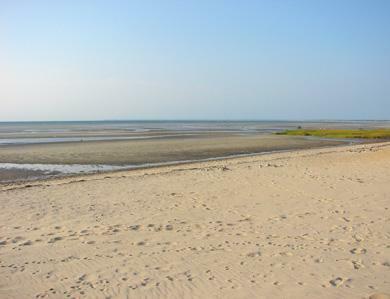 On Cape Cod Bay - great for swimming (high tide) as well as walking the tidal flats forever (low tide). 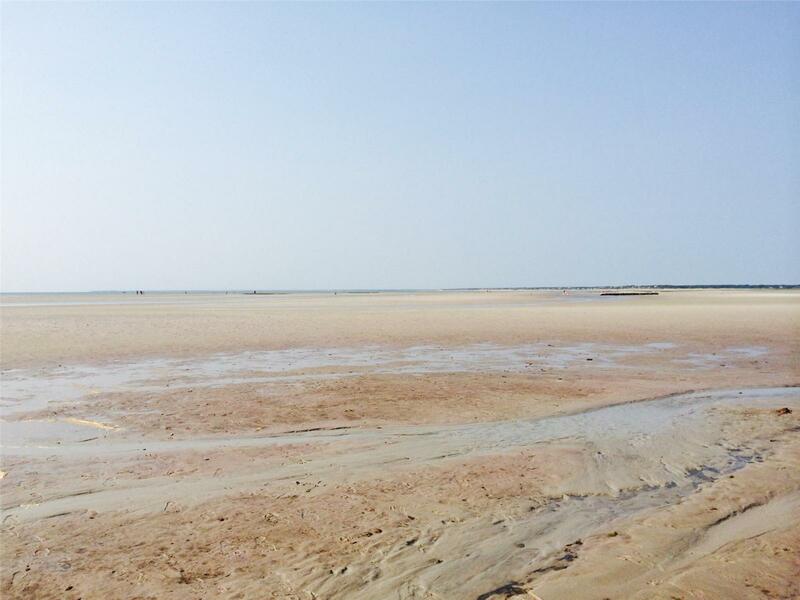 A beautiful bay beach for swimming at high tide and spending hours observing the sea life during low tide. 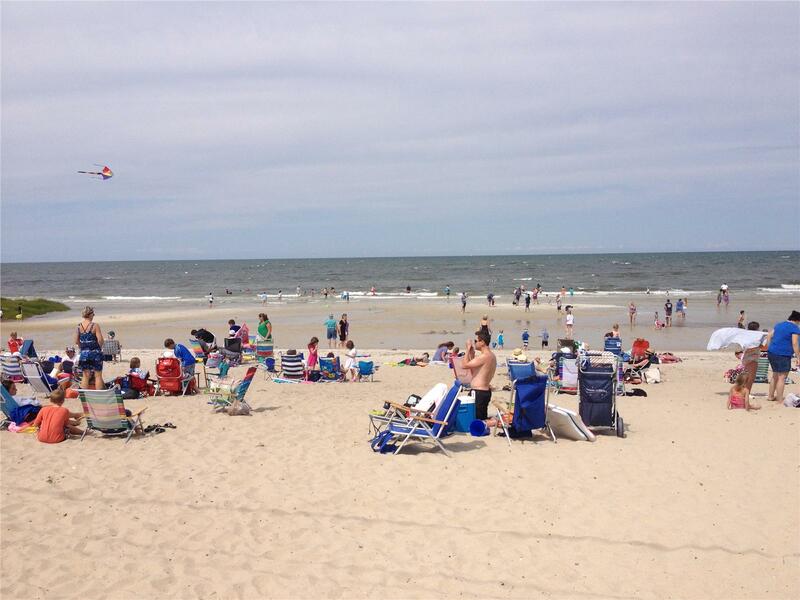 Skaket Beach is perfect for a quiet day at the beach, especially if you have young children! A bay beach, the water is "bath-water warm", but still cool enough to be refreshing, and offers little explorers lots of fun chasing down hermit crabs and minnows in the sea grass during low tide. The waves rolling up on the beach are calm and gentle, easy for a small child to navigate and enjoy. We love Skaket because it is great for our young kids. At high tide they can swim and play in the water, and at low tide they can play in the tide pools, go for long walks, and explore. They almost always find friends to play with, too! We love to go to Skatet if we want to enjoy the low tide. You can walk out forever and see interesting sights along the way. It is a must for children and for the cooler days you might experience. The color of the water is amazing, the tidal pools are beautiful! This year we visited Skaket beach often. The kids really enjoy going out far when the tide goes in. When we want waves, our favorite beach is Nauset. It's a great place to go for viewing the most spectacular sunsets. Also, little children love it to look for crabs as the tide recedes. As far as we're concerned, the beach at Pochet, although not public, is the most beautiful beach ever. The short walk there is incredibly beautiful! This popular bay beach is terrific for children. Not only is the water shallow and wave-free, but during low tide, you can walk out forever and still be up to your knees! The kids love searching for all sorts of sealife in the tidal pools. Skaket Beach at just 1000 ft! Private Beach Access!